P&S Bakery of Poland, Ohio, is recalling approximately 2,959 pounds of pepperoni that may be contaminated with extraneous materials -- specifically clear meat casing utilized in food production. 5.25-oz. 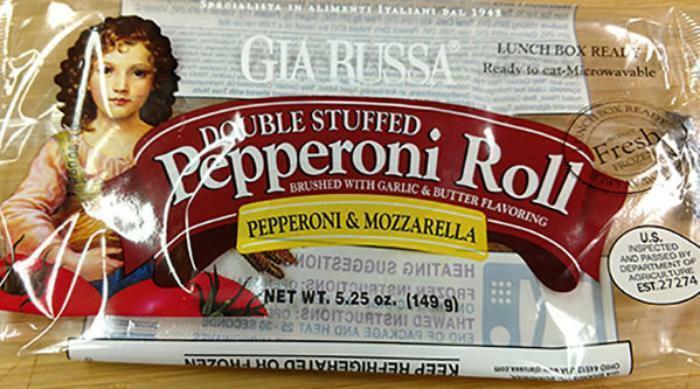 clear plastic wrapped packages containing 1 piece of Gia Russa brand “DOUBLE STUFFED Pepperoni Roll PEPPERONI & MOZZARELLA,” with lot/case code 17088. The recalled product, bearing establishment number “EST. 27274” inside the USDA mark of inspection, was shipped to distributors and retail locations in Ohio, Pennsylvania and West Virginia. Consumers with questions about the recall may contact John Houser at (330) 707-4141.